Brady Academy is currently accepting all levels of dancing. Boys and girls, from beginners to advanced levels, are welcome. The academy facilitates friendships, confidence, and competition for every member. 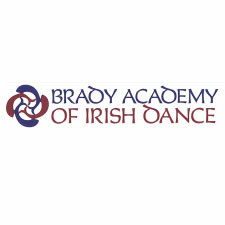 The mission of the Brady Academy is to share the love for the traditional art of Irish dance and music in a supportive and friendly environment. All dancers, from beginners to champions, are instructed and encouraged to gain confidence throughout performing, competing, or just dancing for the love of it! Children utilize the academy for recreation, socialization, and great exercise that builds both self-esteem and discipline. Others utilize the school for competitive purposes, which offers opportunities to compete locally and on the World stage. The Brady Academy holds both types of dancers of equal importance. To learn about classes, or to register for classes, visit the Brady Academy website.